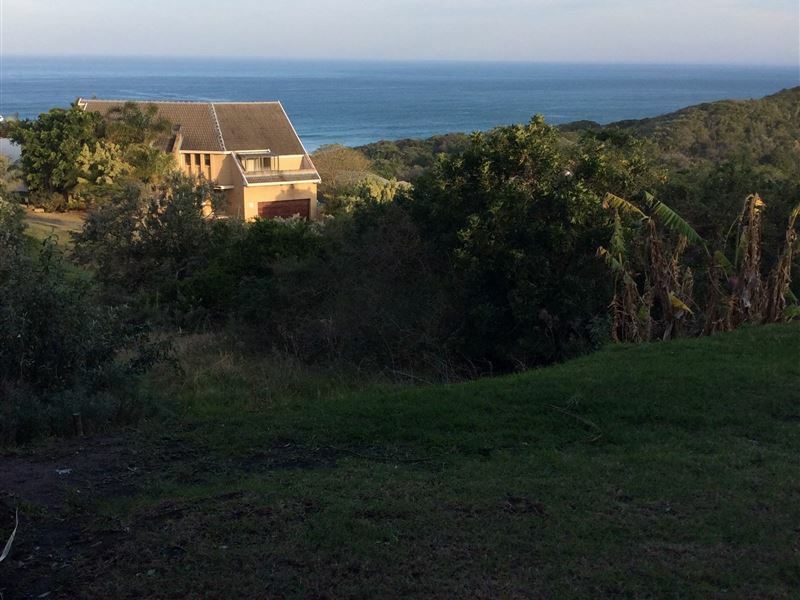 The House of Green and Blue offers a beautiful view of the sea and coastal forest whilst situated in a secure and quiet country estate with direct access to the beach. 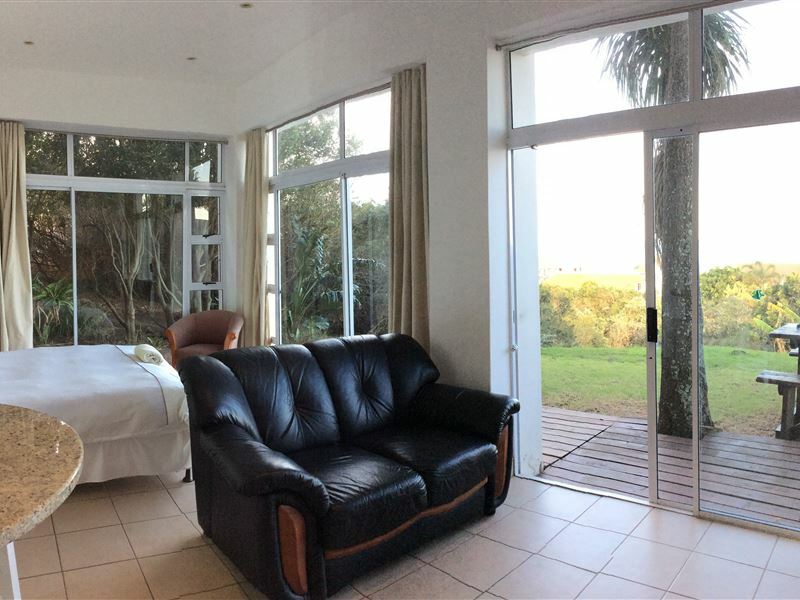 Situated adjacent to a greenbelt conservancy area, various types of buck, genets, mongoose and resident fish eagles nesting in the valley will be your friendly neighbours, creating a wonderful getaway destination. 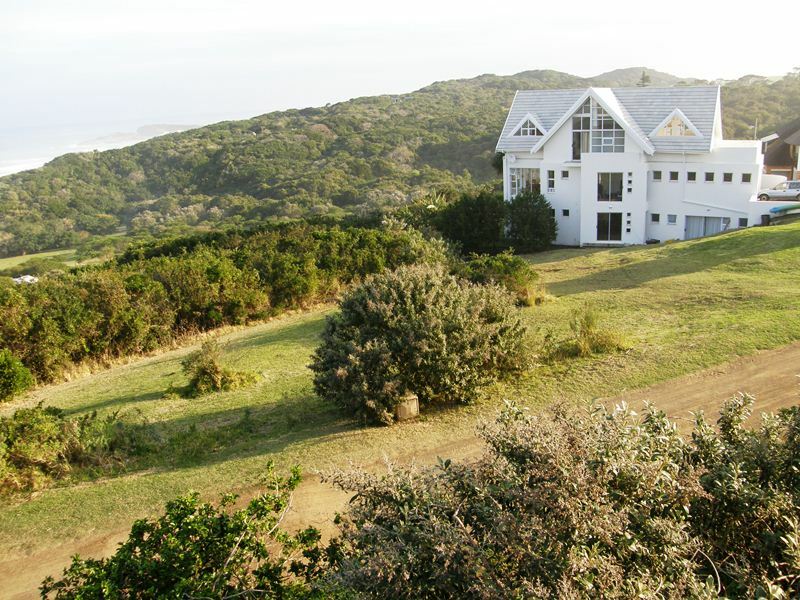 The three self-catering suites have separate entrances and form part of an architect-designed house. 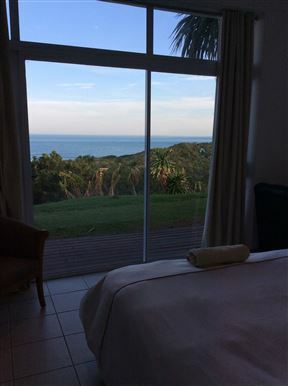 The Sea View Suite enjoys beautiful sea views from the bedroom while the Family Suite and Studio Suite enjoy views of the greenbelt. All rooms are comfortably furnished with a queen-size or king-size bed and some units have extra rooms furnished with single beds. 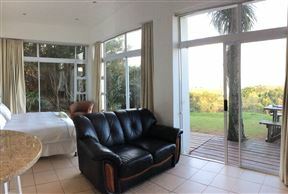 The Sea View Suite also has an extra bed in the lounge. 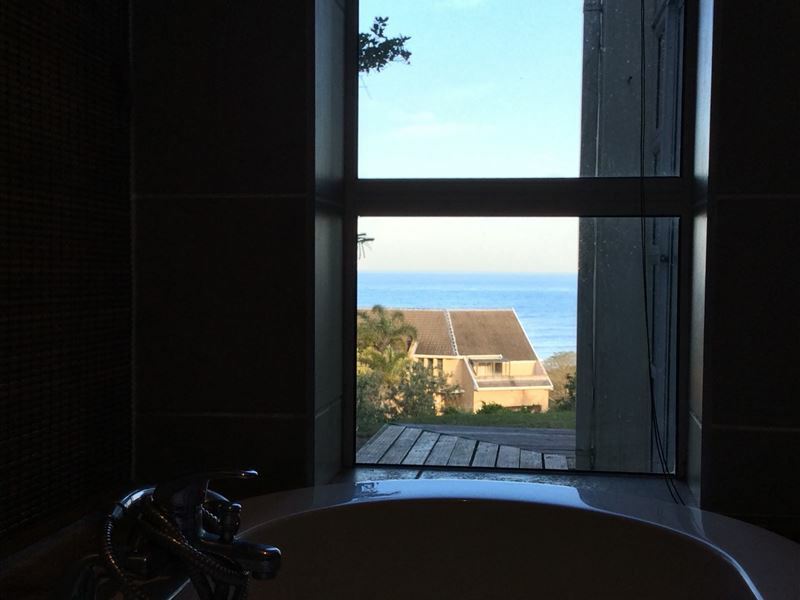 The bathrooms consist of a bath or shower and each unit has a lounge with a TV. All units have access to DStv. 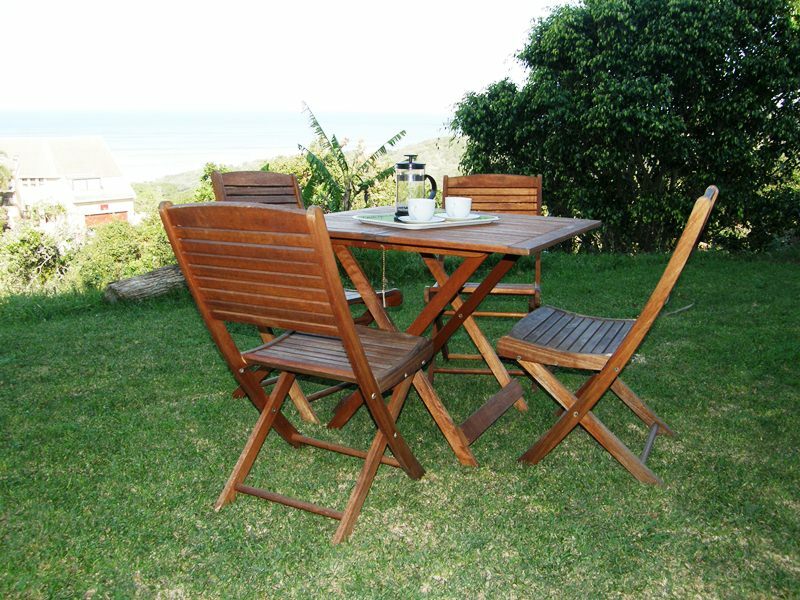 The sea view has Premeir DSTV and the studio and two bedroom units have compact DSTV. 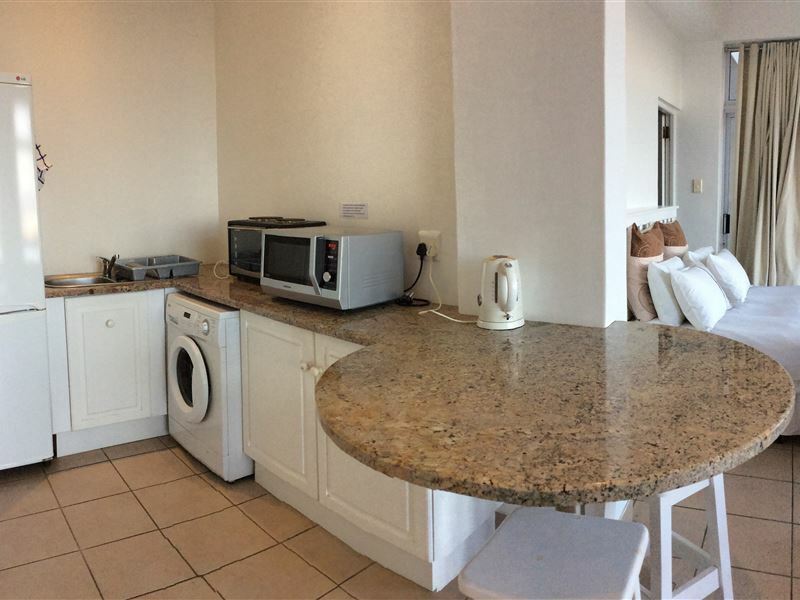 Each unit has an equipped kitchen with a mini stove or microwave. The two bedroom has a full thermofan oven. 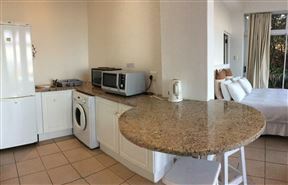 The sea view unit and the two bedroom unit have washing machines. 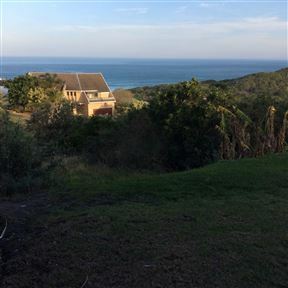 The house is situated a short stroll from the clubhouse which has a 9-hole mashie golf course, a swimming pool, tennis court, volleyball court and a pub. 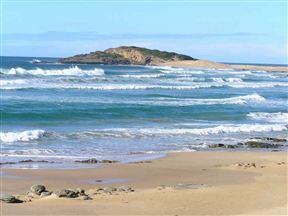 The estate is 7 minutes from East London airport. 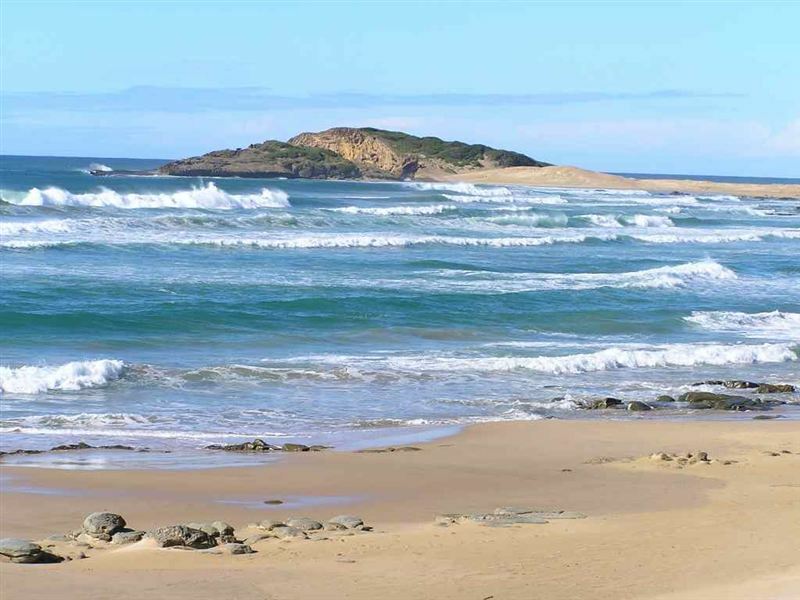 East London is a 15 km drive away and various restaurants and shopping centres can be found in town. 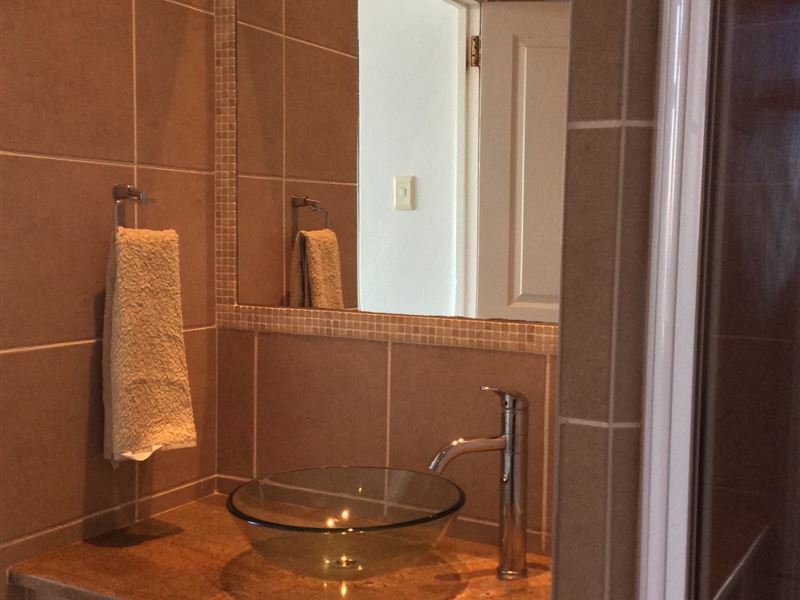 Offering guests lovely greenbelt views, this unit has one bedroom furnished with two single beds that can be converted into a king-size bed, and the en-suite bathroom has a shower only. The open-plan lounge is furnished with a TV with compact DStv package access by arrangement, or guests can bring their own smartcard. A dining area is provided and the kitchen is equipped with a convection oven. The Family Suite has two bedrooms furnished with a queen-size and two single beds. 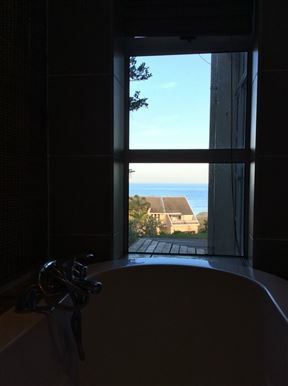 The rooms share a bathroom with a shower only. 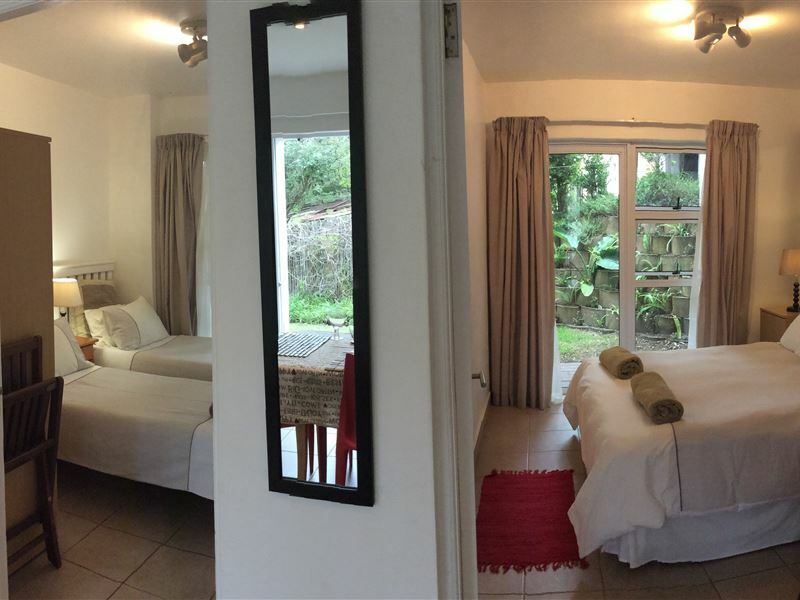 The open-plan lounge is comfortably furnished and equipped with a TV with Compact DStv package access by arrangement, or guests can bring their own smartcard. A dining area is provided and the kitchen is equipped with a stove and a microwave. There is also a washing machine. The private courtyard offers lovely views of the greenbelt. 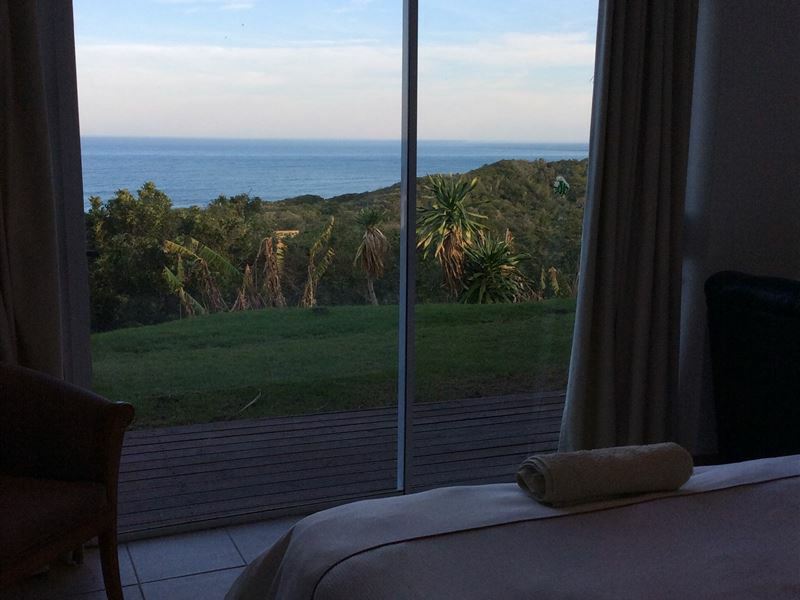 This suite is furnished with a queen-size bed and guests can lie in bed while watching dolphins and whales play. 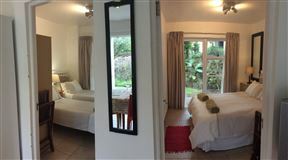 The open-plan lounge is furnished with an extra bed, a sleeper couch and a TV with premier DStv or full bouquet by arrangement. 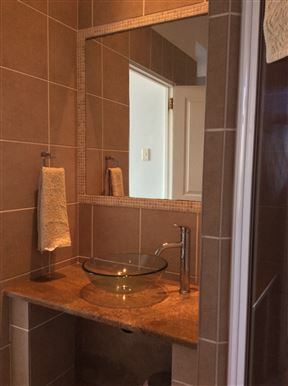 A shared bathroom has a bath and shower, and the kitchen is equipped with a mini stove and microwave. There is also a washing machine.